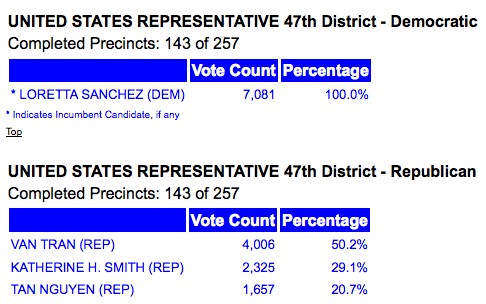 As the clock sneaks toward midnight, here are some results of interest from the election tonight. I'll update them with another post tomorrow. 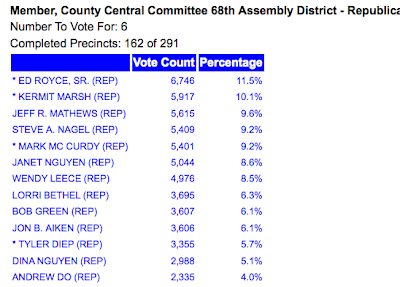 I go to bed fully expecting to find Measure C a winner by an 80+% margin. 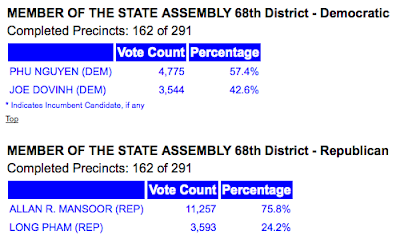 Allan Mansoor with 75% of the vote. 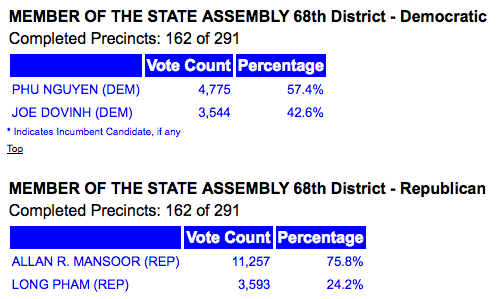 Will face Phu Nguyen in November. 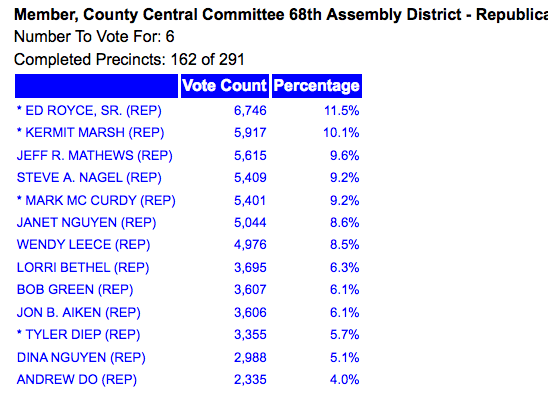 Neck and neck with Supervisor Janet Nguyen for a spot on the 68th Assembly District Republican Party Central Committee.